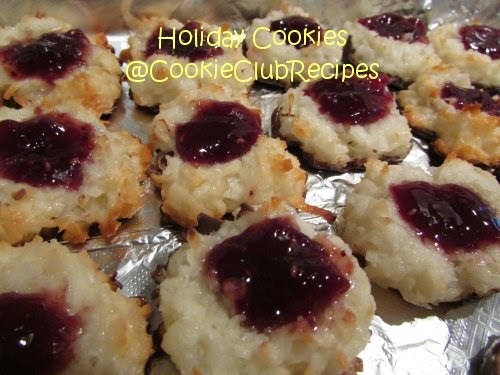 These coconut macaroon-like cookies are first dipped in melted chocolate and then topped with raspberry preserves, or caramel and sea salt. OMGoodness, they are SO GOOD!!! Our favorite cookie so far, this season. 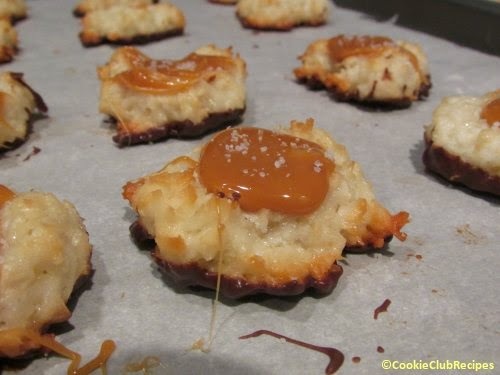 Editor's Note: We couldn't resist making a Salted Caramel variation! 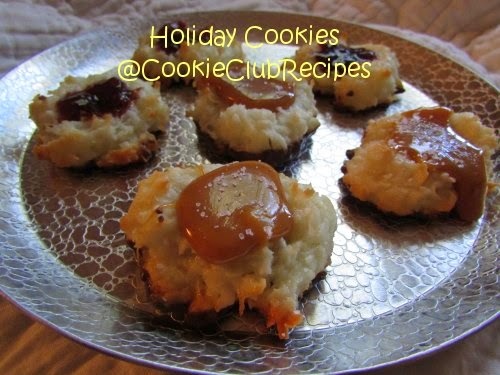 Simply use melted caramel (made with leftover caramel candies from last week's recipe, Caramel Apple Bars) and a sprinkle of sea salt, in place of raspberry preserves. Preheat oven to 325 degrees. 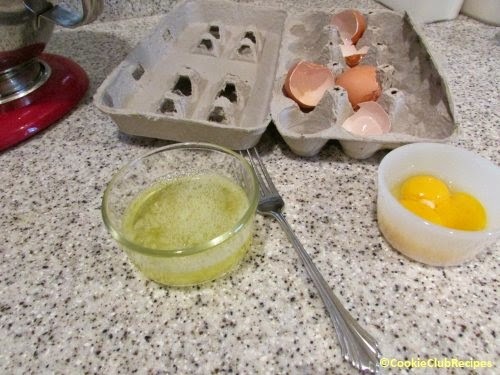 Use lightly greased, non-stick, or parchment-lined cookie sheets. Stir together coconut, sugar, flour and salt. 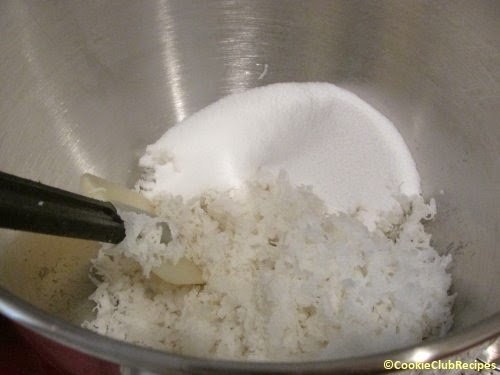 Drop coconut mixture by teaspoon into 1 inch size mounds onto prepared baking sheets, about 1 inch apart. They will spread lightly but not too much. 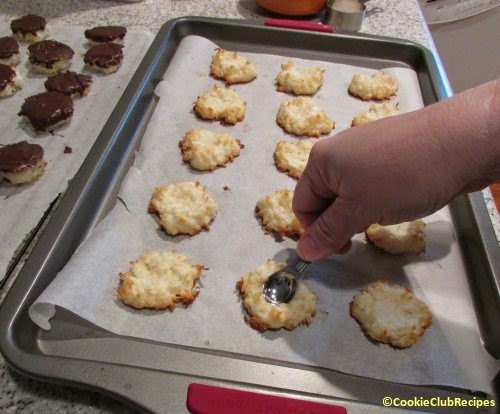 Lightly flour your thumb and press into the center of each mound to make an indentation. Bake in oven for about 20 minutes or until edges are golden. You may need to press indentations again after baking (I used the back of a small measuring spoon). 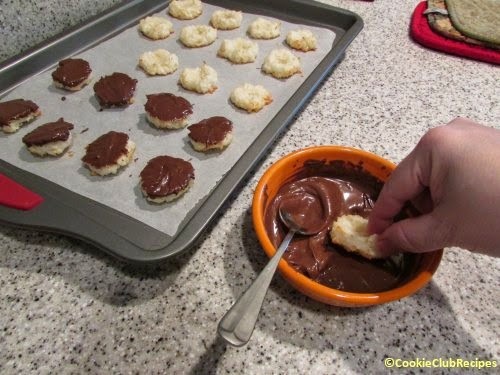 Cool cookies completely; 10-20 minutes. Melt chocolate candy coating in the microwave for 1 minute, stir, melt 30 seconds more and stir, repeat again as needed. If chocolate starts to harden you can stir in about 1/2 tsp. vegetable oil. Works like a charm. 4 ounces of chocolate is the perfect amount for 3 dozen cookies. Holding the top of cookie (not the sides-unless you want to coat your fingers in hot melted chocolate as well) carefully dip only the bottom of each cooled cookie into melted chocolate. Lift and swirl a bit to drip off excess chocolate, you can also use the back of a spoon to make sure each cookie is coated well. 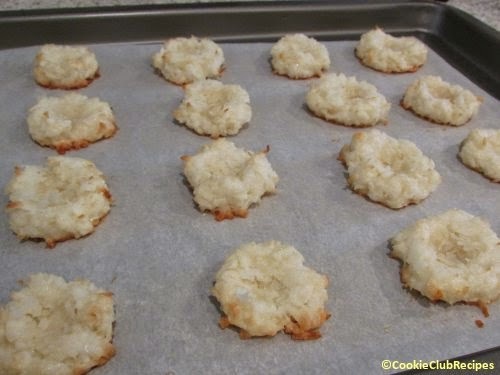 Place cookies, candy coating sides and let stand for 30 minutes (or cool in refrigerator). Note: We were watching a football game so it was no problem to leave them on the counter for 30 minutes. Normally, I would have opted for a quicker set in the fridge to save time. 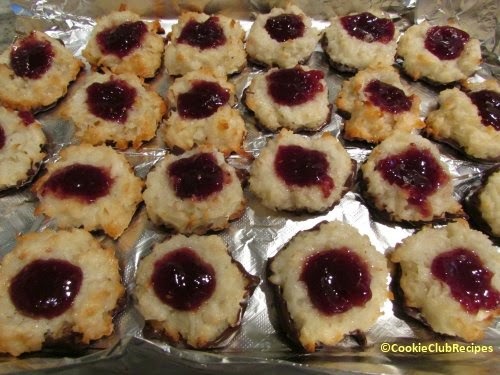 Fill cookie indentations with raspberry preserves. The original recipe called for seedless raspberry jam or preserves, but I used what I had (not seedless) and they turned out amazing. 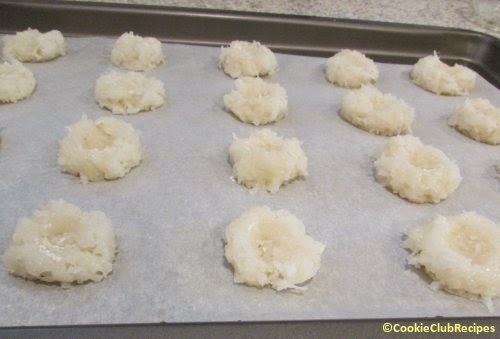 These cookies store well in the fridge or freezer. Layer between waxed paper in zip-lock freezer bags or in airtight containers.